As people’s attention spans drop, and options for their distractions explode, how do you get them over the line? How do you persuade your visitors to take an action that moves your business forward? One answer is to take advantage of our inherent human desire to find shortcuts. Take this real-world scenario I recently witnessed in downtown San Francisco. A few of us were walking up to a line of cabs ahead of us. 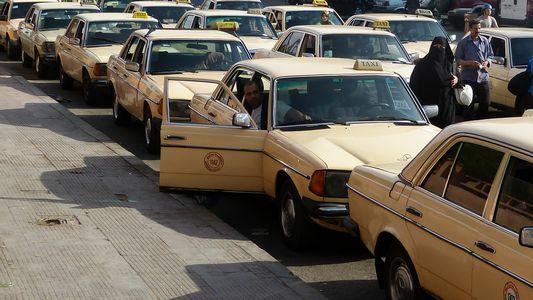 It was a warm, sunny afternoon, with more cabs than passengers. I noticed that one of the cabs had its passenger door open – not all the way, but just enough that you could see it. This cab was the third one down from the very first waiting cab. As we walked up the line, the first person walked all the way to the first cab. All good so far. The second person however grabbed the partially open door and jumped in. Rather than walk just one more car-length, this person picked the faster option, made irresistible by that partially open door. Now this would be easy to dismiss it as cheating or a personality trait. But there’s something else at play here – mental energy and its role in decision making. Our brains start making decisions right when we wake up. Some decisions are easy (shower), others quite taxing (clothing selection). This continues throughout the day leading to mental fatigue. And to counter that, our brain continuously looks for ways to make quick decisions. So if it gets a chance, it’ll take a shortcut – as long as it doesn’t lead to a penalty. Stores use this tendency to all the time at the checkout line, to tempt you with candy bars, knick-knacks and such, but a cab driver using it was the first I’d ever seen. This is important because it can have a direct impact on engagement and conversion – good and bad. The Bad: What doorways currently exist that are siphoning off your site users today – into non-converting pathways or off the site? The Good: What kind of doorway you can build in your site/app that nudges people to follow it over the others? In countless usability sessions, I’ve seen people prefer pathways that require ‘mindless clicking a few times’ over one that required big decision-making up-front. Take a look at links and call to actions on the converting pages of your app/site, starting from the initial screen. Next, remove or dial-down the links that take users to non-converting sections of your app/site. Simplify the ones that are important – by creating intermediate steps. Measure over 30 days to see which ones entice your browsers to convert more.